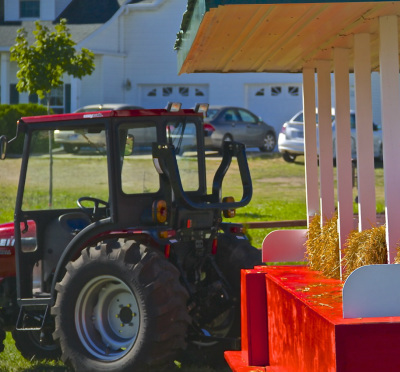 Maple Hills Orchard is an community-friendly experience where the pace of life slows down. There are many things for family and friends to do together at Maple Hills Orchard. Pick out your own pumpkins in the pumpkin patch. Paint pumpkins at the craft tables. Come play yard games or find your way through the kids' straw bale maze. Don't forget to take a tractor ride down the orchard lane. Stay for a while, we don't mind! We love to have you. Sample some of our freshly picked Minnesota grown apples in the Apple House Store or order a caramel apple parfait with whipped cream and a cherry for a truly sweet experience. We hope to see you soon!